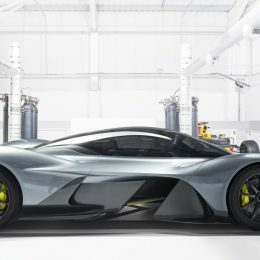 In addition to being the global motor show debut of the acclaimed new Vanquish S – the most powerful and dynamic iteration of Aston Martin’s Super GT – the British luxury brand is also proud to announce the European show debut of the AM-RB 001. 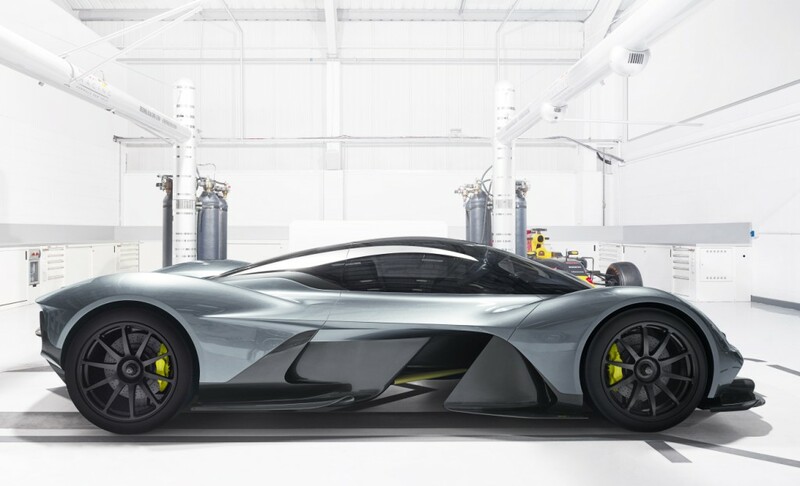 This ongoing collaboration between Aston Martin and Red Bull Advanced Technologies, the AM-RB 001 is a thrilling demonstration of technological innovation and design sophistication, resulting in a truly contemporary hypercar. 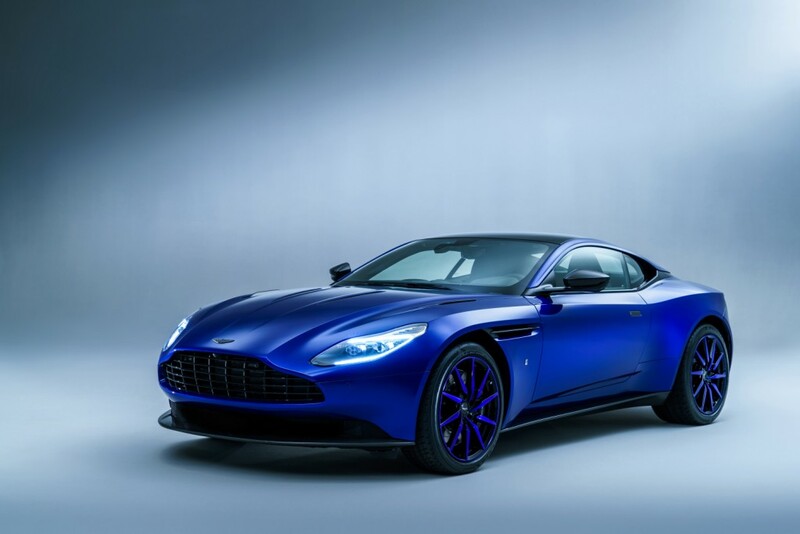 The Q by Aston Martin – Collection brings an array of distinctive design touches to your Aston Martin. 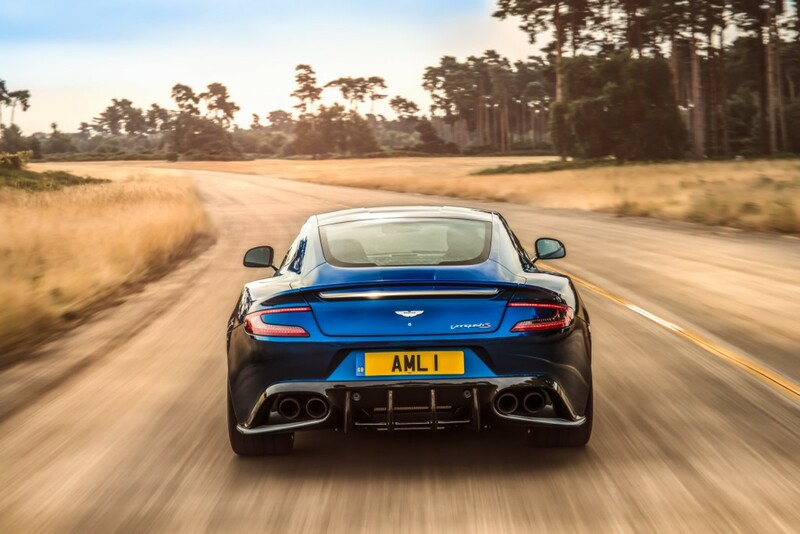 This selection of exclusive trim and enhancements can be added to your Aston Martin at the point of specification and installed and hand-finished at the luxury marque’s Gaydon headquarters. Going above and beyond the standard options list, Collection includes exclusive paint and upholstery colours, material finishes and craft elements. These range from a unique leather quilt upholstery pattern to tinted wheel finishes that incorporate body-coloured blades to the diamond turned spokes, as well as the use of new wood and leather interior elements. 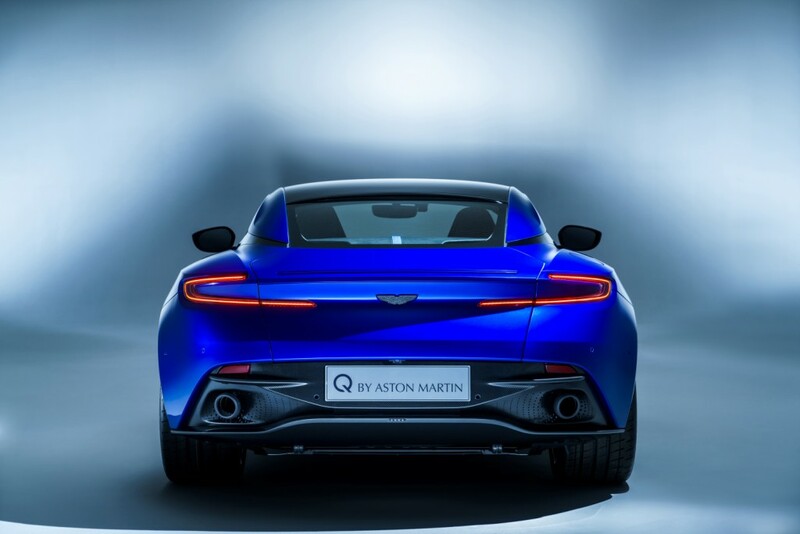 The range and breadth of the new Q by Aston Martin – Collection is demonstrated by the exclusive DB11 showcased at the upcoming 2017 Geneva Motor Show. 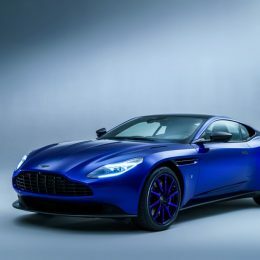 DB11 Q by Aston Martin is finished with exclusive Zaffre Blue paint, paired with gloss, satin twill and forged carbon fibre details including – front splitter, side sills, rear diffuser side strakes, bonnet strakes and door mirrors. 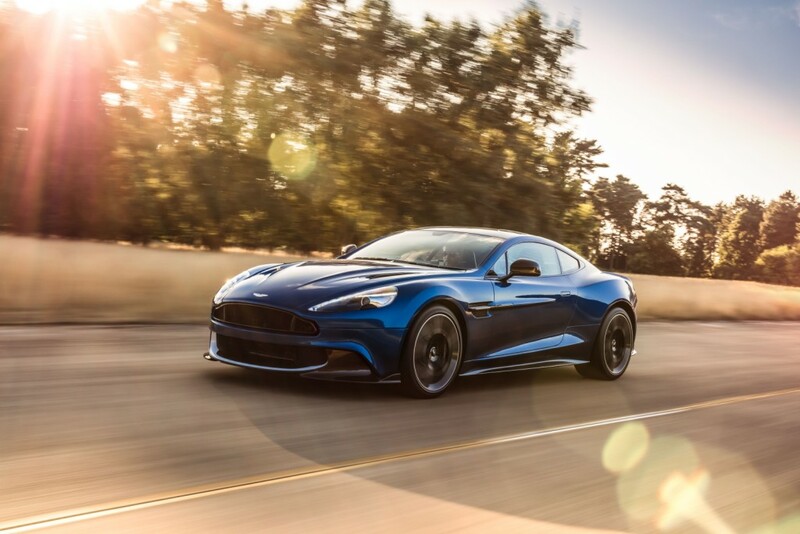 Inside, the upper and lower cabin environments are cloaked in swathes of Obsidian Black Semi-Aniline leather, with the Q by Aston Martin Logo embossed on the headrest. While carbon fibre wheel centres and engine cover add subtle touches. The colour matched four-piece luggage set is also available through Collection. 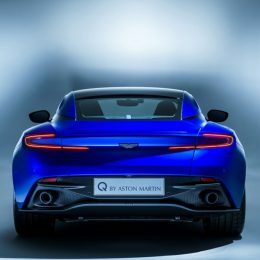 The second stage of Aston Martin’s enhanced offering is ‘Q by Aston Martin – Commission’, a step into the world of the truly bespoke, individual sports car. 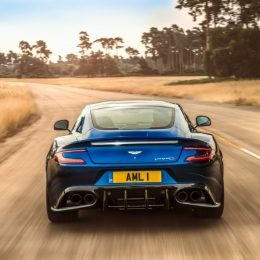 Commission is exactly that, a process that starts with a conversation and ends with a car, a journey that involves a personal collaboration with Aston Martin’s design team. ‘It’s a commissioning process,’ says Dr Matthew Bennett, General Manager for the Q by Aston Martin service ‘the customer is working much more closely with us here at Gaydon. 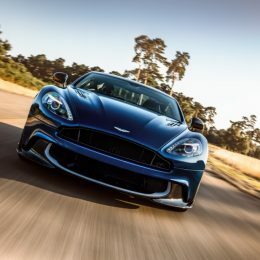 The only limit is your imagination – every new commission starts with a blank sheet of paper.’ Aston Martin’s global dealership network is also working closely with Commission to create ultra-limited run series with features and design elements that are distinct to their regions and customers. 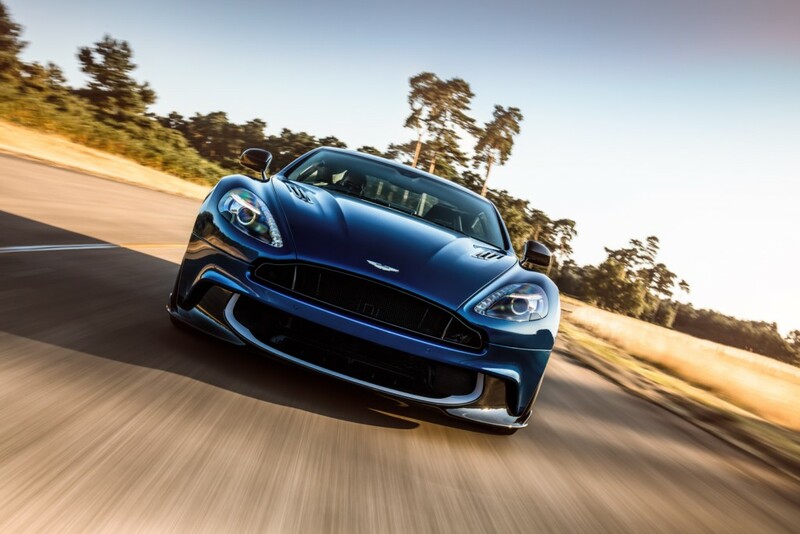 Examples of previous commissions by Q by Aston Martin include the CC-100 Speedster Concept created for the company’s centenary in 2013 and the Vantage GT12 Roadster, a one-off open-top version of the extreme 600PS race-bred Vantage GT12 Coupe. 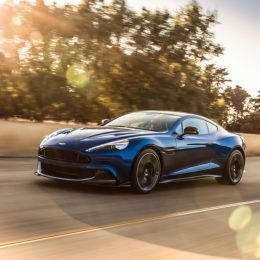 Only Q by Aston Martin – Commission has the experience, expertise and skill to translate such innovative forms into beautiful reality.